Is there a single word for someone who likes or loves to examine statistics? A statistician is one who collects and/or works with statistics. You are unlikely to find a single word in wide use for someone who enjoys consuming statistics as an amateur pastime, although people often coin such words as needed by appending -[o]phile or -[o]holic to the root word, or to a derivative of it: statophile, statoholic. More generic words for people who like math are nerd and geek or coined words like mathophile. This is a bit more work-related than what you’re asking, but in a business context, someone who focuses on analysing things numerically is a quant. Angus Loughran... rose to fame as "Statto", the resident statistician on the BBC Two television show Fantasy Football League. 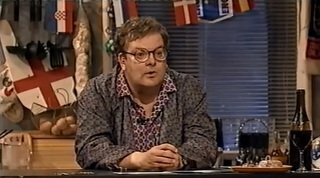 Clad in a dressing gown and pyjamas, he would stand in the corner of the set and provide facts and figures on each of the guests' fantasy football teams, while being made fun of by hosts Frank Skinner and David Baddiel. Not the answer you're looking for? Browse other questions tagged single-word-requests statistics or ask your own question. What is a word for someone who loves to experience? Misinterpretation / Misrepresentation of statistics? What is a word to describe someone who enjoys interacting with children? Someone who enjoys downloading and maintaining files?